Easy Street Tattoo is located in the Sawdust District of Oshkosh, Wisconsin, at 703 Oregon Street. Conveniently located 3 hours north of Chicago, and 1.5 hours north of Milwaukee, Easy Street Tattoo is family owned and operated. We are passionate about the culture, tradition and history of tattooing. We are committed to putting on a solid tattoo and having fun while doing it! We have a vast reference library, and thousands of designs made to be tattooed or provide inspiration. 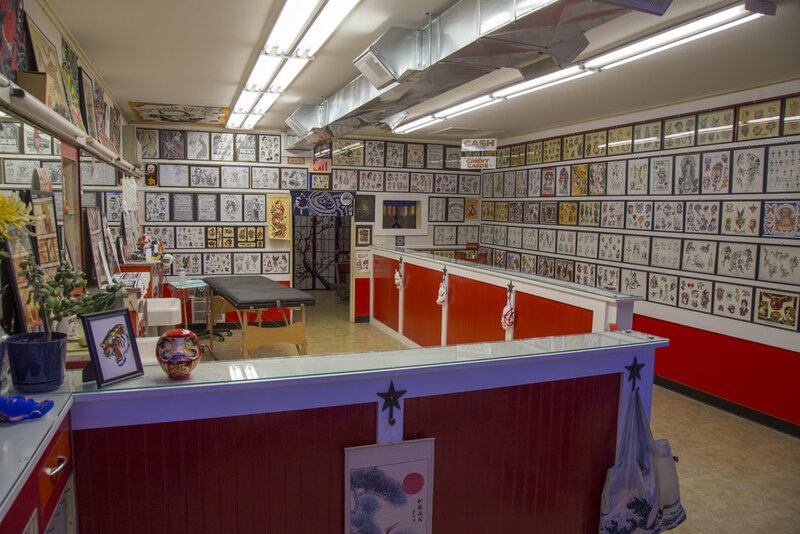 Born from many years of experience at the world-famous Daredevil Tattoo in New York City, we are committed to carrying on the traditions and integrity we have learned along the way. We specialize in traditional western tattooing, Japanese tattooing, and fine line black and grey tattoos.